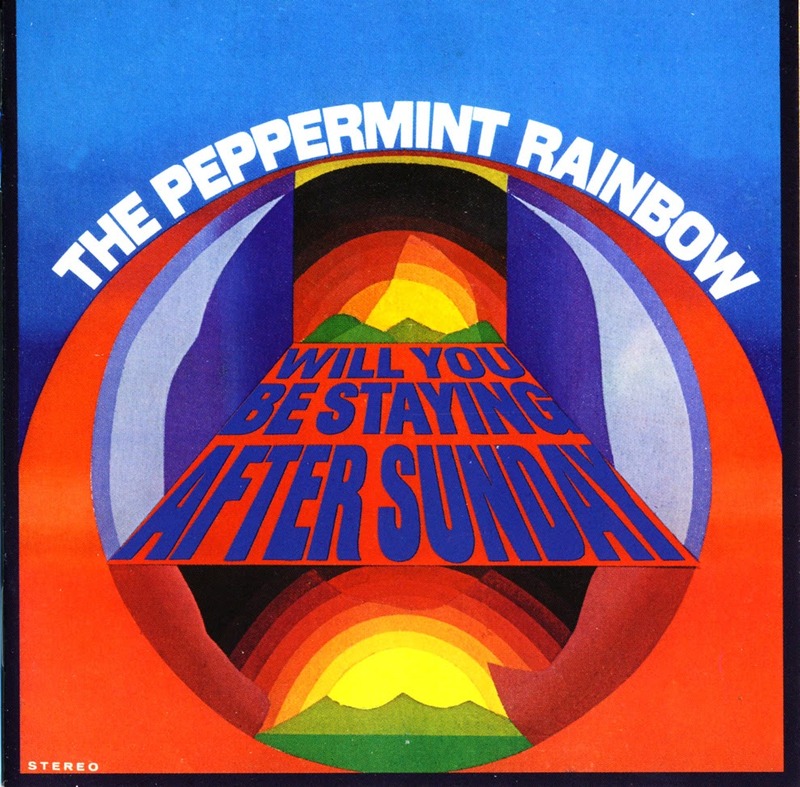 Baltimore's the Peppermint Rainbow got their big break when Cass Elliot of the Mamas and the Papas caught their act at a club in Georgetown, VA, and was impressed enough to help them land a record contract and a management deal. The happy irony is that on their first and only album, Will You Be Staying After Sunday, the Peppermint Rainbow sound much less like the Mamas & the Papas than their rivals on the charts Spanky and Our Gang, right down to their fondness for songs about the first day of the week, and singer Bonnie Lamdin was a dead ringer for Elaine "Spanky" McFarlane. Paul Leka, the producer responsible for the Lemon Pipers' "Green Tambourine," was the man behind the controls for the Peppermint Rainbow's recordings, and his talent for top-shelf sunshine pop with just a hint of psychedelia is very much in evidence here; the group's two hit singles, "Will You Be Staying After Sunday" and "Don't Wake Me Up in the Morning, Michael," boast splendid harmonies and rich, dynamic arrangements that buoy the arrangements with strings, horns, and well-punctuated drumming. Those two songs are the best things on the album, but the rest of the tracks are more than just filler (except for a curious cover of "Green Tambourine" in which Leka appears to have recycled the backing track from the Lemon Pipers' original version). "Pink Lemonade" was the group's first single and should have enjoyed the same success as its siblings, the French-accented "Jamais" has a string arrangement the Left Banke would have been proud of, "Rosemary" features a curious "Asian"-flavored arrangement that melds well with the harmonies, and "Sierra (Chasin' My Dream)" is a welcome detour into folk-rock. 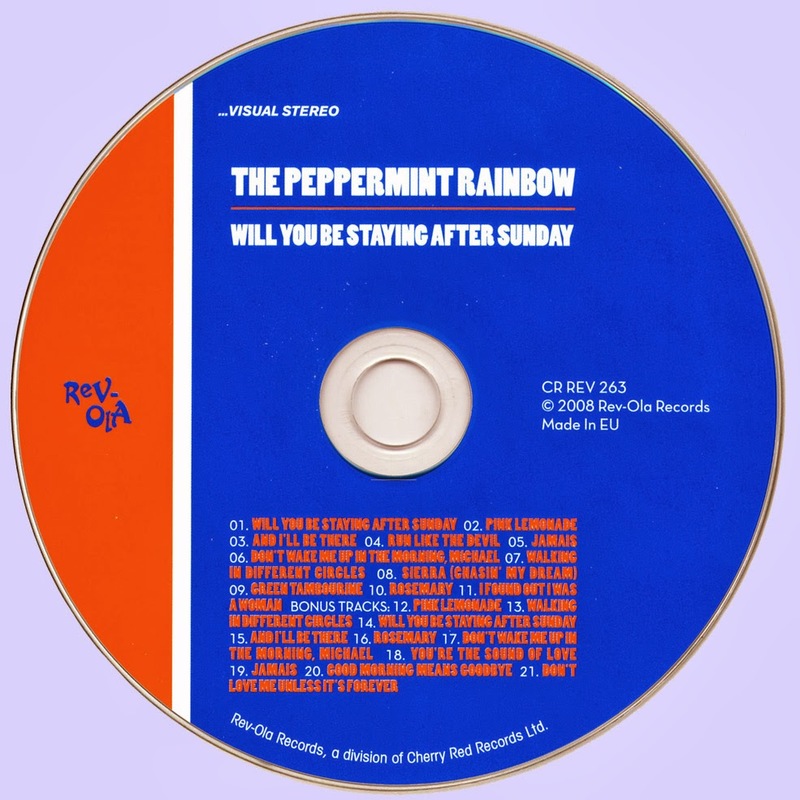 Will You Be Staying After Sunday is a pleasant surprise, a solid and thoroughly enjoyable album from an all but forgotten band, and it suggests the Peppermint Rainbow might have had a few more hits in them if they'd lasted long enough to cut a second LP.